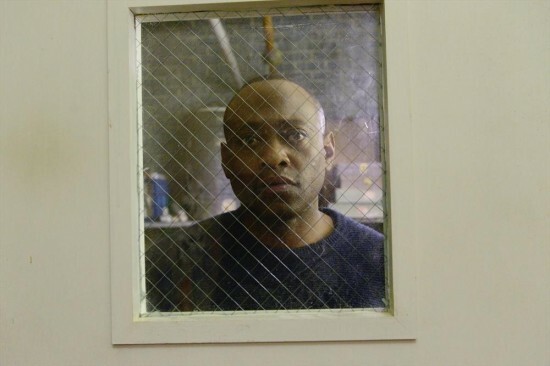 Tonight on ABC Resurrection continues with an all new Sunday January 25, season 2 finale called, “Love in Return,” and we have your weekly recap below. Tonight in the season 2 finale, Preacher James and his congregation of the Returned descend upon the Langston house on a mission to stop Rachael’s [Kathleen Munroe] baby from being born. However, they are met by Bellamy [Omar Epps], Henry [Kurtwood Smith] and Fred [Matt Craven], who are armed are ready to fight to protect this child. On the last episode, after a series of inexplicable events, Bellamy feared for the safety of Rachael and her unborn child. Preacher James predicted that the baby’s birth will unleash an ancient evil. Margaret rallied the Returned at the government facility and formed an uneasy alliance with Preacher James, and Bellamy’s government contact (Donna Murphy) warned that something big is on the horizon. Did you watch the last episode? If you missed it, we have a full and detailed recap right here for you. Tonight’s Resurrection Season 2 finale is going to be exciting, and you won’t want to miss it. So be sure to tune in for our live coverage of Resurrection — tonight at 9 PM EST! Lucille watches the water dripping in the sink and then looks out the window. Jacob gets a headache again. Margaret opens the root cellar doors. Henry and Fred are keeping watch outside. Fred says he hasn’t heard anymore from Marty and Maggie says it all looks okay. Margaret opens the door under the stairs. Maggie leaves Rachel for a moment. Lucille tells Jacob and Jenny it’s time for bed. He tells his mom his head hurts but not why. Margaret creeps into Rachel’s room. She locks the door and Rachel asks why she’s there. Margaret says it’s her room and Rachel says she didn’t know. Margaret says she has a message from Preacher James. Margaret asks how she’d like to be with Tom again. James’ guys lock Marty in a storeroom and James says he can’t be trusted. James says the child will bring millions more of the returned back and says the world can’t survive it. At the bar, the hate group is talking about how dangerous James is because he can bring them back. But then he’s there and says tonight they have a common enemy. Marty looks for a way out of the store room. He tries to break a pipe in the ceiling. Maggie finds the bedroom door locked and asks Rachel to unlock it then gets panicky. Lucille hears and tries to help. Maggie goes to get Fred who hauls Margaret out of the room. He demands to know what she said to them. Margaret begs Jacob to tell them how the baby is hurting him. Marty gets loose and races to the house. He says they have to move Rachel because the returned are coming for her. They go to leave but it’s too late, there’s a big group of returned. Margaret says she was trying to prevent this. They go back in the house but leave Margaret outside with the others. Margaret told James she’d take care of it but he said clearly she didn’t. Jacob tells Jenny this is all his fault. Margaret says she didn’t have enough time and says he has to do it. He tells her to tell him how. James calls out that he doesn’t mean harm to anyone and just wants Rachel. Fred calls the sheriff’s office for support and Marty calls his government support but Angela isn’t answering – the facility is empty and cleared out. Henry goes to check the back. Joey Nolan answers at the sheriff’s station and says they’re unnatural. They’re holding all the cops captive. Fred says no one is coming to help and fills Henry in. Marty says the same. Rachel asks if James is there and Maggie asks what Margaret told her. Maggie says to focus on having the baby. Rachel says to quit lying to her and telling her things are fine. Maggie says there are 100 returned outside and Rachel asks if it’s about the baby. Maggie says she’s going to make sure the baby gets born and that she needs to stay strong. Marty says James wants to disappear Rachel before the baby is born because he thinks the baby is a demon. Henry says he’ll go talk to James. He says since James brought him back, they share a connection. He walks out to James and says he gave him a second chance at life and says he doesn’t understand why he wants to hurt Rachel and her child. James says she’s carrying a false prophet. He says the child can turn him against his fellow man or wife. Henry asks why he’s so convinced of this. James says it’s been foretold. Henry asks who told him and who he is to decide what’s good and bad. Margaret says the baby is hurting Jacob. James asks if he’s prepared to lose Jacob again. Henry says he won’t sacrifice someone’s child for his own. Henry tells James that he preys on people’s weaknesses and asks if God taught him to do that. Lucille comes down and Henry says Margaret seems to really believe that Rachel’s baby is hurting Jacob. Lucille goes to check on their son. Henry is wavering on the issue and says they don’t really know if James is wrong about the baby. Fred says not to give in to fear like he did. Henry says James wants them to hand over Rachel in 10 minutes or they’re going to charge in and take her. Lucille asks Jenny to step out and asks Jacob if his head is still hurting. He says he didn’t mean for it to happen. She asks what’s making him feel bad and asks if it has to do with the baby. He says he hurts when the baby does but doesn’t want Rachel to get in trouble. His nose starts to bleed. Lucille wants to take Jacob outside. She says they need to protect the children. Henry says Fred should leave too but he wants to stay with Maggie. Lucille has Jenny and Jacob with her and Marty gives his sister a hug and tells her not to be afraid. She reminds him she’s his big sister. They walk out front. She walks undaunted through the crowd and when one tries to touch Jacob, Margaret tells the man he better not touch her grandson. He backs down. They get into Lucille’s car and drive away. Margaret tells James the others won’t give up without a fight and he says neither will we. Inside the house, they batten down the hatches. Fred, Marty and Henry arm up and Fred says not to think about it too much. Maggie will be upstairs with Rachel but gives Marty a big kiss for luck then one that’s more passionate. A brick comes through the window and it’s on. Maggie runs for the stairs and starts birth coaching Rachel. James tells them it’s time to move. They move from both sides. Fred reminds Henry not to feel bad about shooting them and says they’ll just come back. James tells them they can’t kill them. Fred starts shooting the men and Maggie runs to check on them. Fred tells her to stay upstairs. They bust in from all doors and windows and there’s just too many of them. Maggie tells Rachel to stay strong. She grabs scissors and defends Rachel when they bust in. Fred makes a run to defend his daughter but is held down. They drag her downstairs. Marty tries to get loose to get to her. James comes in the house and tells them there was no need for any of this. He walks upstairs to confront Rachel. She asks what he wants from her. He closes the door. She asks why they’re here and he asks why was everyone at her window. She asks what she did to deserve this. He says this is the cost for coming back. She gets a contraction and groans. He asks if she remembers where she was before she returned. She says she’s had dreams. He says they all have them and says that’s the place where we belong. He asks if she wants to bring a child into this world of pain. He sits and says there is a place where there is no pain and says there’s still time for her to be there. She says Margaret told her that he saw Tom. She asks if Tom is waiting for her. He says he saw him with his own eyes. He says she can got to him and all her suffering will end. She gets another contraction and he tells her to focus on Tom and going to join him there. She asks what about her baby and he says they’ll all be there together in a place with no pain and only love. He tells her that’s where they belong. Everyone else waits downstairs. They have Fred, Maggie, Marty and Henry subdued. Margaret asks for the gun from the guard and tells him to wait outside. He hands it over and goes. Margaret unties Marty and says she told James how to disappear Rachel and tells him to go before it’s too late. He rushes upstairs and tells him to get away from her. James says it’s for the best. Marty says it’s a lie but Rachel says she wants to be with Tom. James says her child will bring suffering into the world. Marty says no child is born evil. Rachel has a spasm and James goes for the scissors but Marty shoots him. Rachel has her final contraction and pushes the baby out as Maggie rushes to help. Maggie wakes Rachel so she can feed her baby. She tells her that her son is perfect. She thanks Marty and Maggie both. Fred tells them they need to come see this and they leave Maggie to nurse her son. They watch the news and see a plague of returned all over the world. There are millions all over the world. It’s now one year later, Marty talks to a woman who just came back and says not everyone is as accepting as her grandson and says some people discriminate against the returned. Marty works for the Bureau of the Returned. Fred and Henry are at the diner and invites him to dinner. He agrees reluctantly. He asks if he heard about the returned bill in Congress. Henry asks why he should pay taxes when he can’t vote and they joke about death and taxes. Their mom is outside looking in at them. Henry asks how she’s doing and Fred says she misses him. Marty comes to see James at the jail – they keep him on suicide watch so he can’t off himself and return. James ask him about the riots on the outside. Marty says the world is not perfect and tolerance won’t come overnight. James asks if their connection bothers him and asks why the denies it. He talks about the end of times and Marty asks why he doesn’t just disappear himself. James says he has to stay and fight the evil Marty brought into the world. He asks how he is. Marty says he’s a beautiful baby boy and James quotes the bible saying that Satan disguised himself as an Angel of light. He tells James he won’t be coming to visit anymore. Marty leaves as James tells him he’s ruled by doubt. Marty shows up and greets Maggie with a kiss before dinner. Jenny shows him a picture that Elaine drew. Maggie asks what’s up and he says he saw James. He says he likes to think about why the returned are there and she says none of them know why they’re there. Jacob runs to hug Marty and Lu gives him a hug too. Rachel sings to her son and lays him down in bed. Outside some locusts beat at his window. More and more come until the window is covered in them.